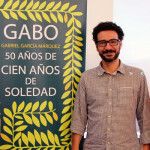 Special luncheon with Iván Granados-Hay, personal librarian of Nobel Laureate Gabriel García Marquéz. Granados Hay personal librarian to Nobel Laureate Gabriel García Marquéz will open the 2nd Annual El Quixote Festival in collaboration with the 30th Annual NC Latin American Film Festival. For a decade (before García Márquez passing) Granados Hay worked hand and hand with Marquez not only taking care of the laureate’s vast book collection, but also helping him with his articles, memories, and editorial projects. Granados Hay is also a curator of documentary material of the Nobel Laureate as well as librarian for other important writers, such as Alvaro Mutis. Presently, Granados Hay is preparing two editorial works (for Penguin Books) on short stories including some lost stories of García Márquez. Hay visits the Triangle directly from Mexico City and will participate in several workshops and events during his three day stay. To include a special lunchon with public, university and state librarians. 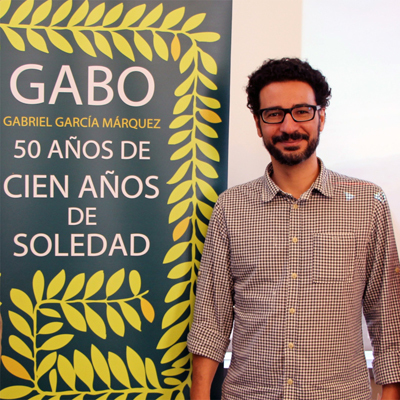 The El Quixote Festival “GABO” celebrates the 50th anniversary of the publication of One Hundred Years of Solitude, the master work of Nobel Laureate Gabriel García Marquéz (Gabo), and one of the top 10 books ever written. We are excited to be collaborating once again with the NCLAFF and Miguel Rojas Sotelo with the support of Duke University Libraries and The Romance Studies Department at UNC-CH in order to make this event possible said Rafael A. Osuba Founder / Artistic Director of Artist Studio Project the group producing the El Quixote Festival.